Michigan Real Estate Investing: How to build a MASSIVE cash buyers list that actually works! How to build a MASSIVE cash buyers list that actually works! 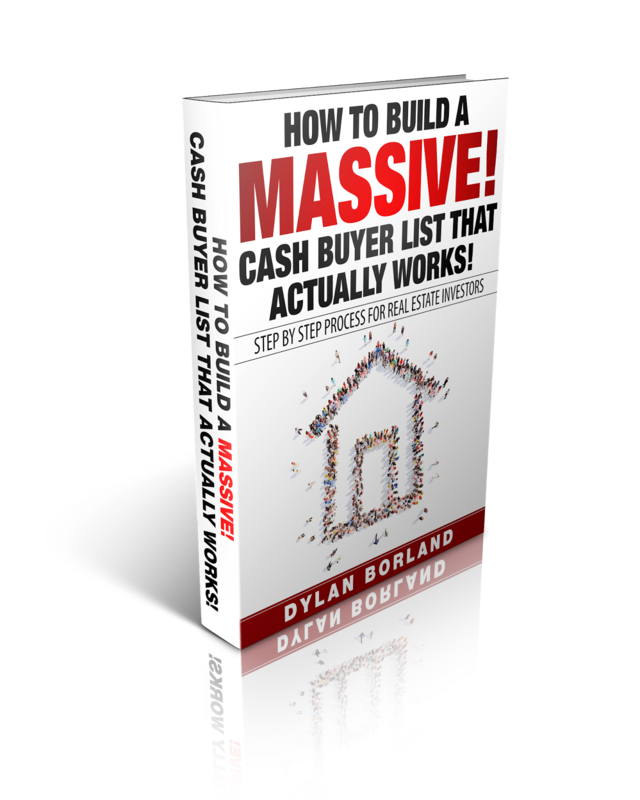 Hey everyone, very excited as yesterday we launched our first ever eBook "How to build a MASSIVE cash buyers list that actually works. A step by step guide for real estate investors." and the feedback and support have been overwhelming, people are loving the material and have picked up ideas they never thought of. I was hesitant at first to offer such a product as my mind was saying, 1) who would want to listen to me and 2) You are terrible at writing! However I decided to ignore the drunk monkey in my head and listen to the advice of my friends and family and start to share and put down into words what I have learned over a decade of real estate investing and over 2,000 properties bought and sold and counting. And the information has really been receiving great reviews. In my first eBook I cover step by step how I built a MASSIVE cash buyers list of 1,086 cash buyers in less than 90 days. I go in depth and in detail. If you have been involved in real estate investing you will know the larger your cash buyers list the faster you can either wholesale a property or find an investor to invest in your deal! I can want for you guys to grab a copy and most importantly make sure you share with me your wins and success. I am doing this because I really want to help others and make sure you take the most efficient and sustainable path to success and avoid the road blocks and obstacles I had to face. You can grab your copoy at the link below and then keep me posted as you put the steps into action ! I wish everyone happy and Profitable! investing.